There’s no doubt that the first option to come to mind for a majority of holidaymakers and other travellers when they are looking for a place to stay will be a hotel. But as the travelling public becomes more sophisticated and more demanding, another alternative is growing in popularity – the holiday rental apartment. Why is this? Although an apartment rental can work out cheaper than a hotel it’s not consistently so, and price doesn’t seem to be the main driver. Rather, it is the overall quality of the experience that is the key factor. A great range of apartment types and styles have become available in recent years, from cosy studios to large family apartments, with a much larger variety of “personality” than you find in hotel rooms, so you can always find something that suits you. The extra space you usually get in an apartment is particularly good for families and groups. Children can have their own bedrooms, and there’s less chance of the “cabin fever” you can get in hotels. You’ll also get a sense of both greater privacy, and greater freedom to come and go as you please, as you don’t need to check at reception every time you leave or return. A really big advantage of opting for an apartment rather than a hotel is that you’ll have your own kitchen. Although you’ll probably want to go out for tapas at least some of the time, being able to prepare your own meals, particularly breakfast or late night snacks, is much better than relying on overpriced hotel room service or trying to find a cafe at inconvenient times. Even better in these days of Ryanair baggage charges and other incentives to travelling light, is that you will almost certainly have your own laundry facilities. Most apartments are serviced, although what this includes will vary from place to place (if you’re only staying a couple of nights it means your apartment is cleaned and prepared before you arrive). You probably won’t have the kind of “full service” you get in many hotels, but this is a trade-off as that can be intrusive. Your apartment may offer optional services if you need them, and the owner (or us!) should be no more than a phone call away. 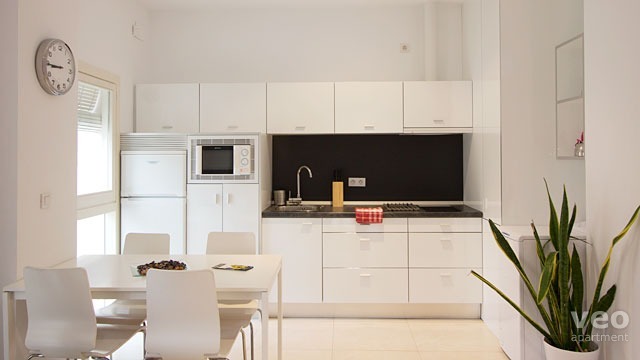 At Veoapartment we offer extra services such as airport pickup and doing your grocery shopping at a local market so that your kitchen will be stocked when you arrive. We can also suggest places to visit and recommend some of our favourite tour guides. Although hotels still have an important role, more and more people are finding that an apartment offers benefits that are hard to ignore. And we continue to be on the lookout for new quality apartments that offer unique experiences in comfortable surroundings. 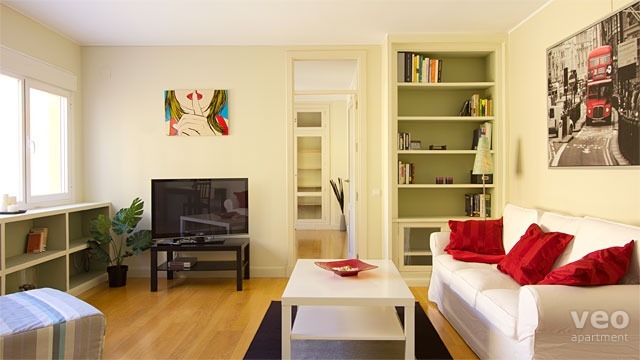 What are some of the things you like best about renting holiday apartments? I think Travel is one of the important part of education. I think, People are looking a perfect apartment for their live, relaxation and their flexibility. Although your providing service and hotel accommodation is great. Firstly, Hotels are expensive as compared to holiday apartments. Secondly, the hotels are noisy and don’t provide larger accommodation for your large family stay. At that point, holiday apartments are best to enjoy the family holiday with more privacy and self-catering facility in a quiet atmosphere.